Azerbaijan and Kazakhstan, the two oil rich countries with tremendous oil reserves, eye prospects for deepening cooperation in energy sphere. The two countries are planning to lay new Eskene-Kuryk-Baku oil pipeline with a length of 739 kilometers, which is of great importance given the growing export potential of Kazakhstan. Azerbaijan’s Energy Minister Natig Aliyev, in his article said that Kazakhstan’s immense volumes of hydrocarbon resources, which amount to 5.5 billion tons of oil and 3 cubic meters of gas, allow the country to produce some 80 million tons of oil and 33.6 bcm of gas on a yearly basis. However, the country does not possess a safe and reliable route for the export of resources, excluding Baku-Tbilisi-Ceyhan, while capability of such pipelines as Tengiz-Novorossiysk, Atyrau-Samara, Atasu-Alashankou is not sufficient for the provision of transportation. Aliyev said that considering the capacity of these routes and the volumes of export planned to be achieved, Astana has focused on the Kazakhstan Caspian Transportation System (KCTS). The KCTS, which envisages construction of Eskene-Kuryk-Baku pipeline, will consist of oil-discharge terminals located at Kazakh coast of the Caspian Sea, tankers and vessels, oil-discharge terminals on Azerbaijan's coast of the Caspian Sea and connecting facilities to the oil pipeline system “Baku-Tbilisi-Ceyhan”. The system is expected to ensure the export of Kazakh oil to international markets mainly from the Kashagan field (second and third phase) via the Caspian Sea, through the Baku-Tbilisi-Ceyhan pipeline and other oil transportation systems both in Azerbaijan and other transit countries. Aliyev further said that construction of Eskene-Kuryk-Baku pipeline will enable Kazakhstan to export its oil to ports in Georgia and Turkey. The initial capacity of the new pipeline will amount to 23-25 million tons per year with the possibility of future expansion to 56 million tons. 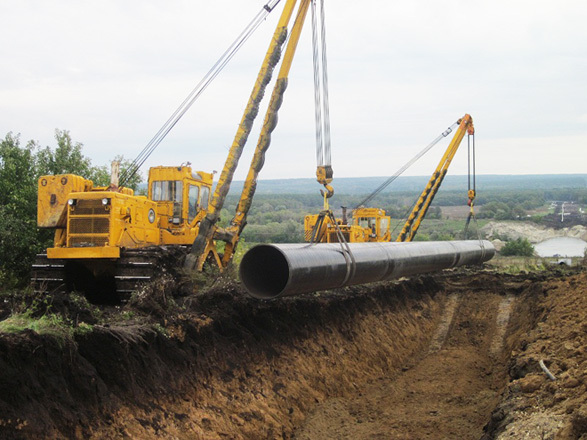 The feasibility study of the Eskene-Kuryk section of the pipeline envisages construction of an oil pumping station at the Tengiz field, Tengiz-Oporny-Uzen-Aktau main oil pipeline, an oil terminal and a new port in Kuryk village, as well as reconstruction and expansion of the port in Aktau city. As of transportation of Kashagan (giant offshore oil and gas field) oil through Azerbaijan, the minister said that Kazakhstan will be able to export some 150,000 barrels of oil per day from the field via the Baku-Tbilisi-Ceyhan pipeline. The country is currently transporting oil from the Tengiz onshore field and oil products to the Black Sea ports through Azerbaijani terminals in Sangachal and Dubendi. The minister added that after the production is launched at the Kashagan field, the BTC pipeline is planned to be used to supply oil to the EU countries. Aliyev said four companies, namely, Eni, Inpex, ConocoPhillips, Total, acting as shareholders in the BTC consortium and owning a 15 percent stake in the BTC, are involved in the development of the Kashagan field. The companies are expected to be able to transport around 150,000 barrels of oil via BTC on a daily basis. Kashagan field is considered to be the world's largest discovery in the last 30 years, combined with the Tengiz Field. The reservoir lies at the depth of some 4,200 meters below the shallow waters of the northern part of the Caspian Sea. The project is considered to be one of the largest and most complex industrial projects, which are currently developed anywhere in the world. The total length of the BТС is 1,768 kilometers, including a 443-kilometer section running through Azerbaijan, a 249-kilometer section in Georgia and a 1,076-kilometer section in Turkey. The pipeline’s construction started in 2003. It was filled with oil in 2005.